The two-year master programme has been developed within the international (EU-supported) ADRIART project. The programme's Carrier Modules are Animation, Film, Photography, New Media and Contemporary Art Practices, with a new Carrier Module at the intersection of Art, Sciences and Technology currently in development within the MAST project. In the application the candidate presents a master thesis project idea, or alternatively describe his/her motives in the choice of specific media and professional way. 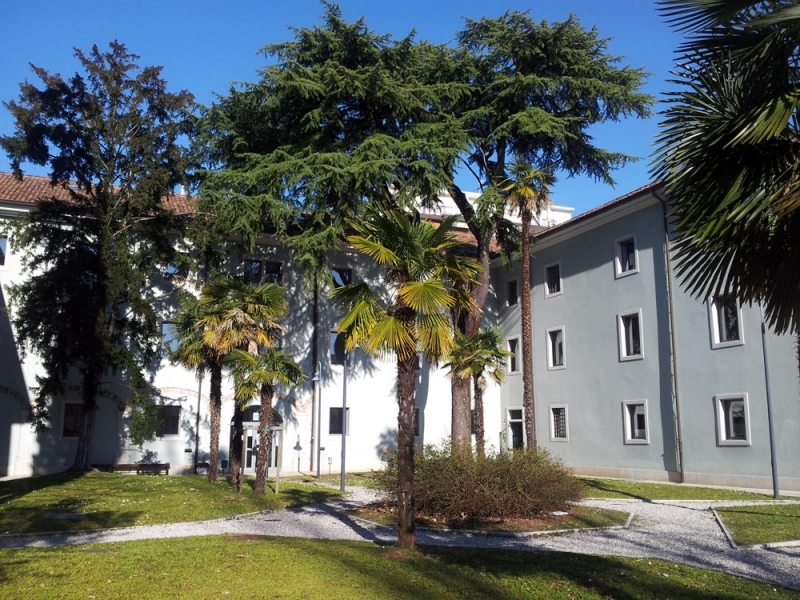 Situated right on the boarder between Italy and Slovenia (according to The Independent the cheapest country in Europe to be a university student!) , the twin towns of Gorica and Nova Gorica are well connected by transport both regionally and internationally, with local bus transfers to the Trieste (Ronchi) Airport and frequent (mini-)bus services to Treviso, Venice, Milan (and other main Northern-Italy) airports, as well as to Ljubljana (1 hour), train connections with these cities are also well maintained. It will take only a short hop to the Croatian cities of Rijeka (1 hour) or Zagreb (2 hours) by car, also Klagenfurt, Salzburg, Graz and even Vienna or Budapest are within a few hours drive. Boat services from Trieste (half an hour drive by car or bus) and other nearby ports connect the region across the Mediterranean. Programme Handbook 2014 that includes course descriptions and programme implementation details (PDF with course-description DOCs, tables etc.) . Developed and piloted with the support of the Lifelong Learning, Erasmus, Programme of the European Union. This programme and all its products reflect the views only of the author(s), and the Commission cannot be held responsible for any use which may be made of the information contained therein.